Creating a home with “the look” can be tough when “the look” requires you to pull up floor tiles and repaint the accent wall every year. Luckily, with the chic-yet-classic style built into every Rockhaven home, you need only tinker with a few simple aspects of your interior decor to stay up to date. Here are a few 2019 home design trends that are easy to create. Bring the outside in! Houseplants provide vibrant splashes of color and other benefits like cleaner air and better productivity. Fetching wood finishes are also popping up everywhere, on chairs, tables, and counters. Plants and other natural elements really ground a room and bring the soothing touch of nature indoors. Designer John Call predicts that the new color trends will follow a 90/10 rule, says Elle Decor. That is, rooms decorated with 90% white and 10% bold color. Make a powerful statement by accentuating only one or two colors in a white or neutral room. A shift away from midcentury modern furniture means more textures says Houzz editor Mitchell Parker. More comfortable pieces are taking the place of statement furniture, and that allows for lots of visual interest. Plush velvet chairs, a comfortable sofa, and fluffy accents make this living room at Cosmopolitan so inviting and interesting. Subway tile is a home decor staple for good reason. It’s versatile, easy to clean, and pretty. Just like everything else, though, it can get old without a little variety. This year, designers are experimenting with bold designs and patterns on tiles to keep this standby fresh. 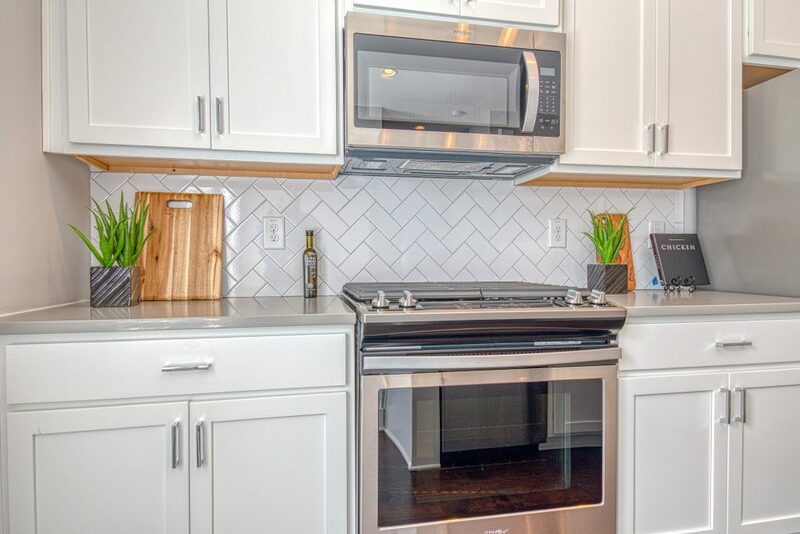 Another easy way to create interest with tile is by laying it in interesting patterns like chevrons or herringbone, as seen in this kitchen at Eastland Gates. Staying on-trend doesn’t require very much work at all, as long as you start simple. Of course, it’s always easy to get “the look” in a Rockhaven home. 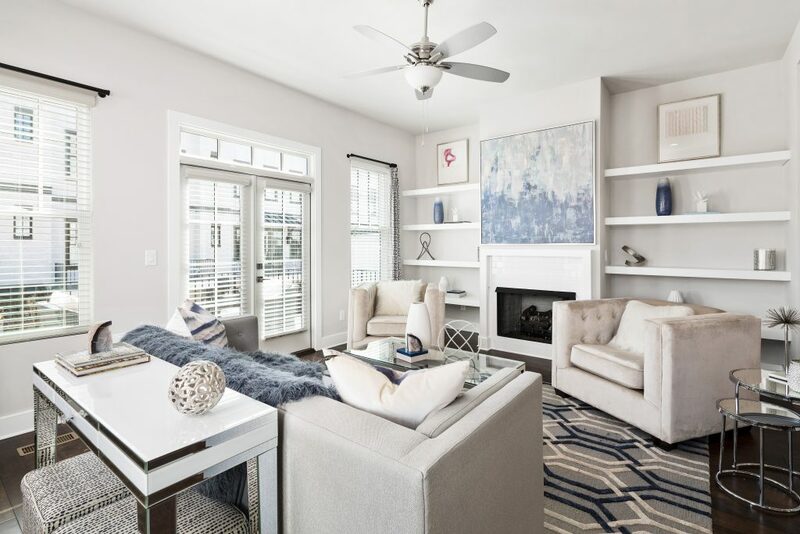 With great locations and show-stopping designs, now all a new Rockhaven homeowner has to worry about is picking out the right accents for their style. 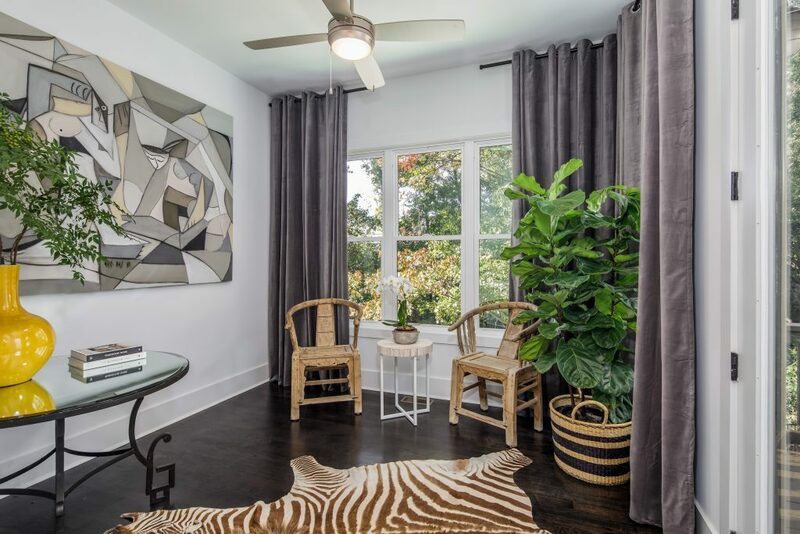 Check out this gallery of finished homes from across our new home communities in Atlanta. 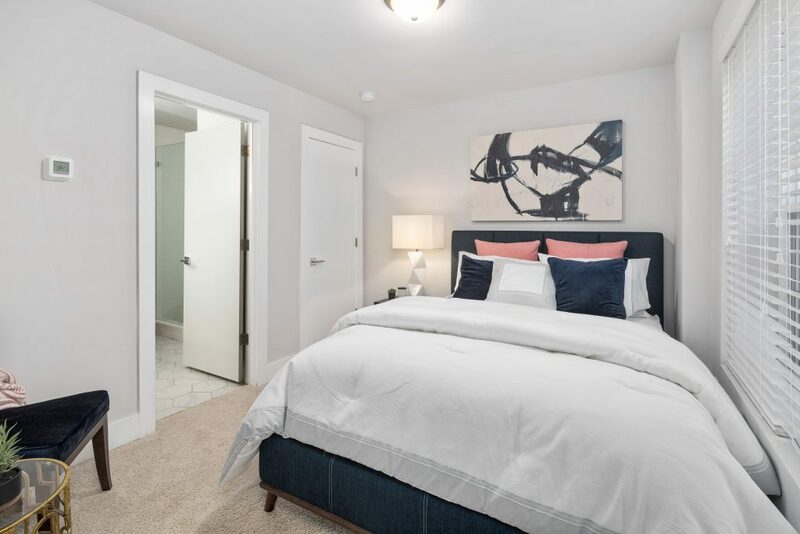 Contact us today to schedule a visit to one of our decorated model homes and learn more about Rockhaven Homes.